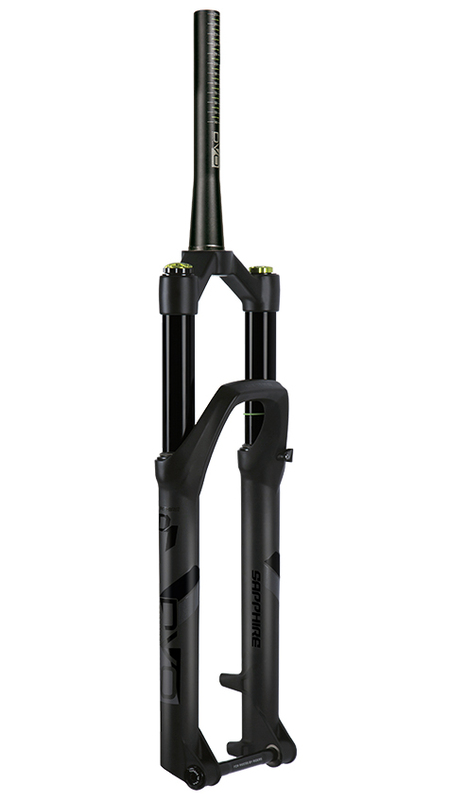 The all new DVO Sapphire fork gets trickle down features from their popular Emerald and Diamond forks to create an all-out trail monster. High and low speed compression, dynamic rebound, and negative spring (OTT) adjustment let you easily dial in the perfect ride to suit any bike, any riding conditions, and any style of riding. Their closed cartridge bladder damper system offers incredible small bump sensitivity and durability. 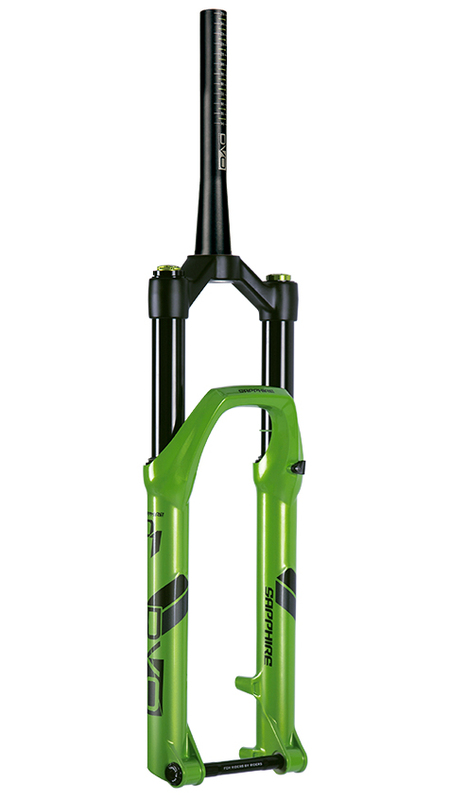 For the chassis, DVO chose to use 34mm stanchions for the weight conscience trail rider. In the past, this would've meant more flex and unpredictability, but not anymore. 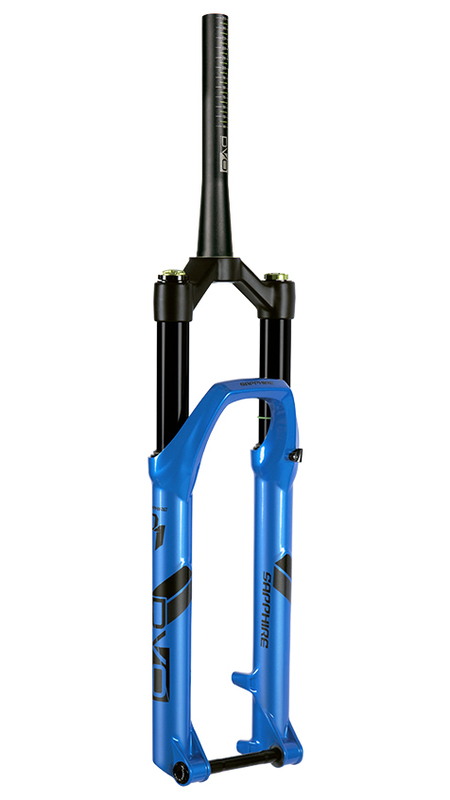 That's why DVO engineered the Sapphire to be the stiffest and strongest chassis of any 34mm stanchion fork on the market. Compromising performance for weight is now a thing of the past.